Last Tuesday kicked off one of the craziest times in NFL history, as a free agency period that usually lasts fro months is being crammed into a matter of days. Five days later, and the madness hasn't stopped. Here's a look at some of the latest happenings in professional football. Plaxico Burress is returning to New York, although not as a member of the Giants team that he helped win a Super Bowl, but instead as a New York Jet. 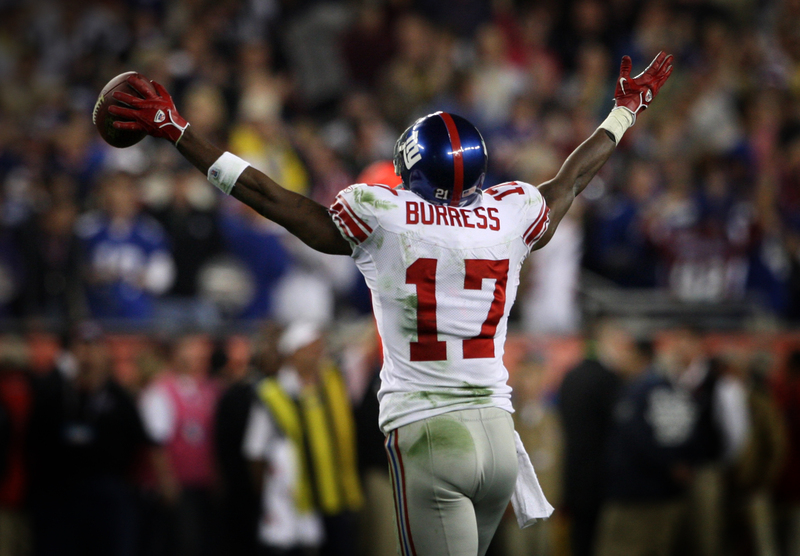 Burress, who hasn't played in the NFL since 2008 since he shot himself in the leg and spent two years in prison, signed a one-year deal for $3,017,000. Why the $17,000? It represents the No. 17 that he plans on wearing with his new team, thus bringing an end to the Jets' Braylon Edwards experiment. Albert Haynesworth is already making positive impressions in New England, as earlier this morning, he passed his conditioning test for the Patriots, something that he seemed to be incapable of doing during his time in Washington. The news may seem insignificant at first, but it does make you think about how scary this New England team could be if they've acquired a motivated Haynesworth, as it appears they may have. Peyton Manning may have the highest profile of any free agent this offseason, although the sweepstakes to sign him hasn't seen much buzz, as it has been assumed that he'll remain an Indianapolis Colt, an assumption which proved to be true, as Manning re-signed with the Colts. Manning's new deal will pay him $90 million over the course of five seasons, which gives him the same $18 million per year salary as rival Tom Brady. More news as it comes today, as the likes of Antonio Cromartie and Randy Moss are still on the market.